Yes, I'm sentimental. I have memory boxes and journals and way too many photo albums under our basement stairs. However, balanced with that sentimentality is practicality. I don't hold onto everything, it must be useful–clutter makes me unsettled and our house is full enough with six people. Recently, our stroller recently went missing. 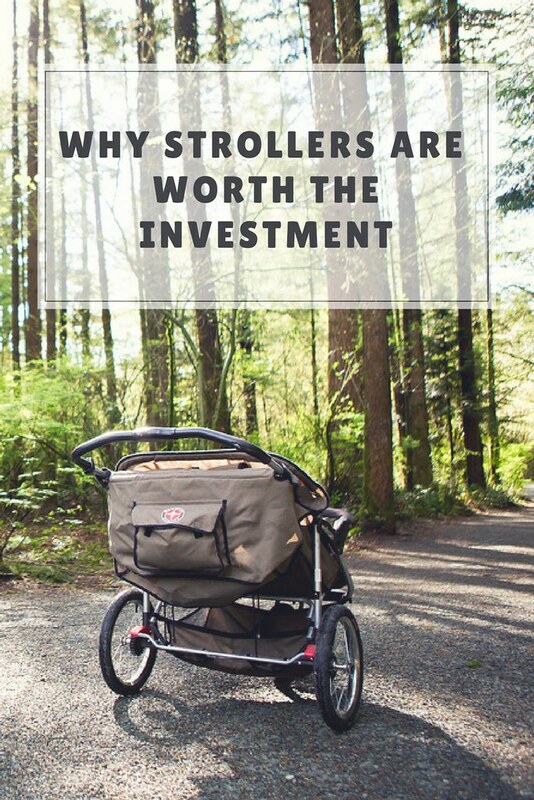 We have a a few strollers–a cheap one to leave in the back of the van "just in case", one quality single that's easy to maneuver in small spaces if need be, and then, we have our very favourite one: the double jogger. 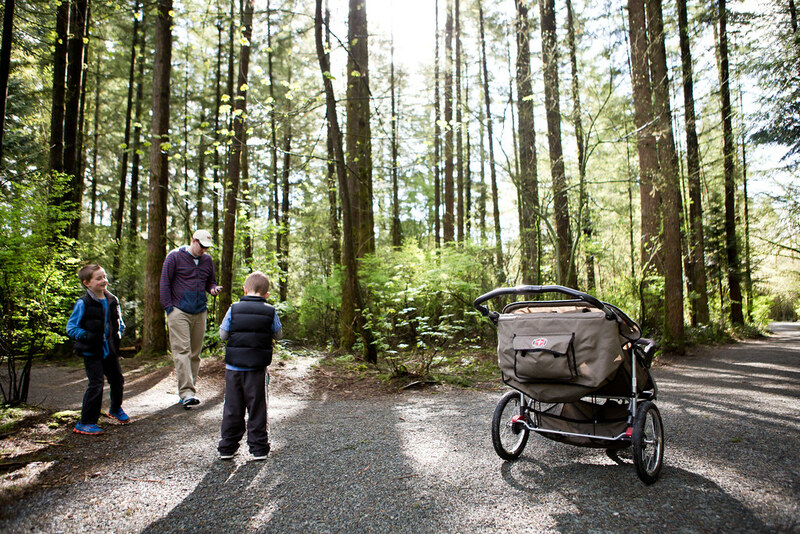 The double carries two kids comfortably, takes almost no effort to push, can be used for jogging (obviously), folds up easily, and has a great basket underneath to carry whatever we need to bring along. It was our most-loved one that went missing. 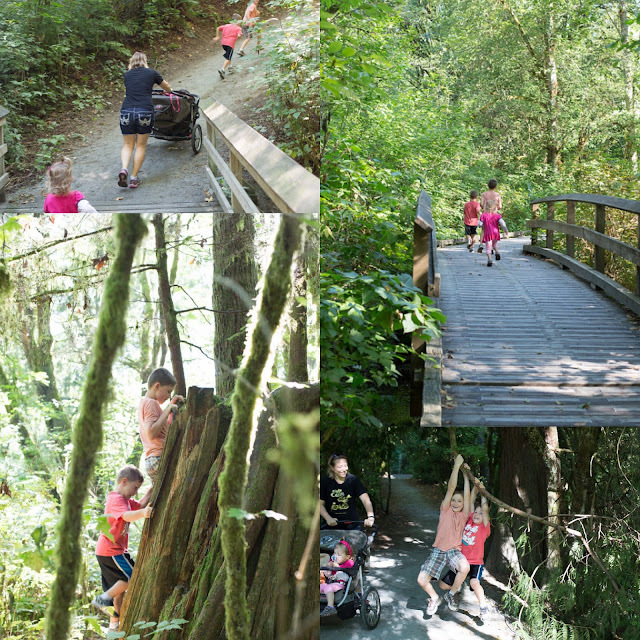 I realized immediately where we had left it–on our last family walk and picnic. We must have left it behind in the chaos of cleaning and packing up. I drove the park and looked around but a few days had passed and it was nowhere to be found. I put up a notice and I left posts online for people to keep an eye out for it, and then, we waited. I was very surprised at my reaction to the loss of this stroller. I sobbed. I haven't cried like that in months–maybe even years. Why was I so upset about a stroller? It's replaceable! It's just an object! What was my problem? When I looked at that stroller, I didn't just see wheels and buckles. I saw years of memories. We bought that stroller, second-hand for $125, when our boys were little and therefore have had it for six years. 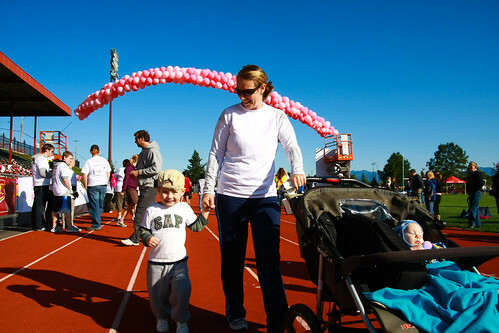 We used it to participate in the Run For the Cure as a family every year which is a special time to remember my mom. When I've needed a break from the teething children over the years, Gary has taken one or two in the stroller for a 5 km jog. They eat snacks, look for horses and dogs, and I am given a half hour of much needed peace. When I looked at the stroller, I saw adventure. We have done numerous local walks with it. Sometimes the kids sat in it and sometimes it was just used to hold cameras and bird seed. When I looked at the stroller, I saw family time. We used this double jogger to walk to get groceries at least once a week. It's a twenty minute walk each way and the kids would get a cookie from the bakery as incentive. We talked, we raced, we were together. When I looked at that stroller, I felt peace. We have two rambunctious boys who have inherited my dad's "pest" genes. They are loud. Our youngest two are busy, and sometimes on hard days when the crying or tantrums are too much, we need to escape the confines of our house. Once they were in that stroller (with a snack) peace returned. Happiness. Contentment. Freedom. Four days after it went missing, I got a phone call that our stroller had been found and was being safely stored for us. My immediate response was "I love you! I love you! Thank you so much!". I went and picked it up right away (handing out hugs along the way...with an "I love you" or two) and my heart was so happy. This jogging stroller isn't just a way to get kids or groceries from point A to B; it's a vehicle for togetherness and peace and exploration. Tell me I'm not alone! Do you have something that's special to your family and sanity? I am so happy it was found!!! I had tears in my eyes as I read this! I totally understand - not just a stroller! (The Run for the Cure bit pushed me over as I am remembering my own mom today). I feel that way about my breastfeeding pillow. I got it for free secondhand when pregnant with my first and used it with all 3 babies. I can get rid of everything else, but not that. So, I felt your pain when you talked about the memories. What a fabulous post that I am sure so many moms can relate to.